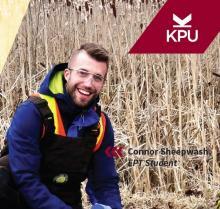 Join us for an information session on KPU's Environmental Protection Technology Diploma program. Learn about career opportunities, meet our faculty and students, and ask questions! Open to current and future students, as well as their families. The purpose of the information session is to give potential students a good understanding of what the program entails, what you can expect to get out of the program when you graduate, workload requirements, and all the other prerequisites. Former students and instructors are there to answer any of your EPT questions.